Now over 17,000 hi-quality production music tracks on over 262 CDs! World class production music in a powerful synergy of 4 distinct libraries. 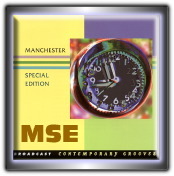 Full-service range of over 12,500 tracks on 180 CDs. 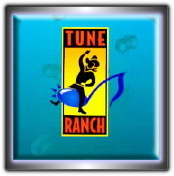 Fresh current sounds, true variety, fun-to-use music. 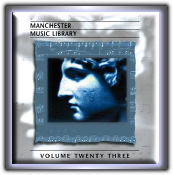 Featuring the combined catalog of the Metro, Manchester, Music Street, and MSE production music libraries. Available with a Annual License. 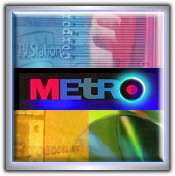 If you want the sound you hear on network television or at the movies, Metro is the ticket! Created by world-class writers and instrumentalists who regularly create for major advertisers and recording labels, Metro knows how to pull out the stops and make it happen. Compare Metro to any production music library anywhere at any price. Lots of punch, character, and energy in this compact but premium-quality production music library with an emphasis on contemporary edge and adult contemporary beds performed by top Nashville and L.A. live players. Designed primarily for broadcast spot and promo production. Available with an Annual License, or Lifetime License. 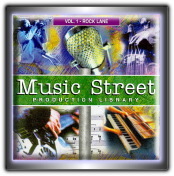 One of the most distinctive production music libraries available anywhere. Scoring by noted composer John Manchester and other top American and European writers. Excellent for contemporary corporate and broadcast applications. Everything from Classical and Orchestral to Xtreme Edge. Music from the greatest composers of all times is featured on this double CD classical production music library. Recorded in Europe featuring virtuoso instrumentalists and full Philharmonic Orchestras. 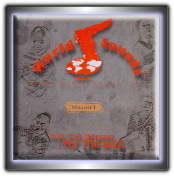 Hot-to-cool retail and promo production music beds recorded by "first-call" NY instrumentalists. Compact on just 7 CDs, but jam-packed with highly usable tracks. Royalty Free buyout music license or available with any annual blanket combo. Authentic international production music themes representing Native America, Africa, France, Germany, China, and 30 other nations/cultures! Also included are contemporary, world eclectic themes. Hi quality Royalty Free, Buyout music license, or combine with any annual blanket. A "ton" of broadcast :60s and :30s (over 2,000 production music tracks) on 22 jam-packed, user-friendly CDs. 100s of advertiser categories, plus specialty, news, stingers, holiday, and more. Outstanding value in an affordable royalty free music library. When you need some of everything at the best price! Now over 1,500 production music tracks on 31 CDs. Full-service range for video, multi-media, or broadcast production. Select single CDs with a royalty free, buyout music license, or select an annual blanket and get free updates! 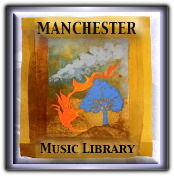 Incredible variety and lots of live instruments in a compact buyout music library on 10 CDs. Nearly 300 different compositions! 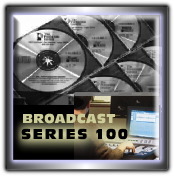 A great value for broadcasters (all tracks are :60s, :30s, :10s). Mainstream sound includes great rock, jazz, country, and hard to find specialty tracks. Hundreds of versatile production elements and creative sounds for broadcast imaging or audio for video sweetning. Stingers, stagers, sweepers, sparkles, hits, explosions, ascents, etc. 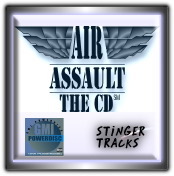 Includes: Air Assault I, PowerDisc, Stinger Tracks I and II. 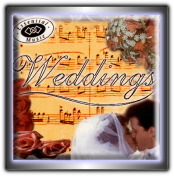 A fantastic royalty free, buyout music library on 2 CDs for wedding and family videos. Big library sound (recorded by a top NYC music studio with live instruments). Mostly long-form themes, some edit vers. Copyright © 1997-2006 by Production Garden. All Rights Reserved. RealAudio® is a registered trademark of RealNetworks, Inc.
Quicktime® is a registered trademark of Apple, Inc.